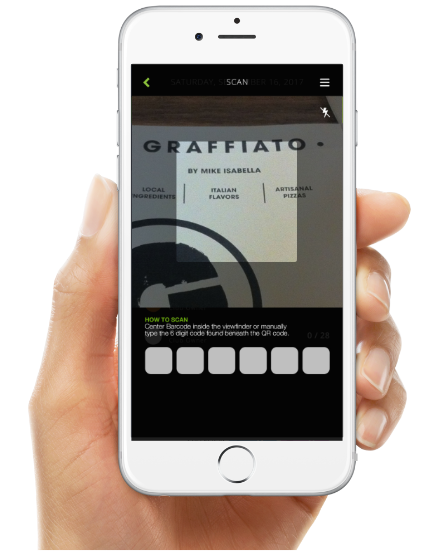 Turn your paper lists digital and allow others to add parties from anywhere. 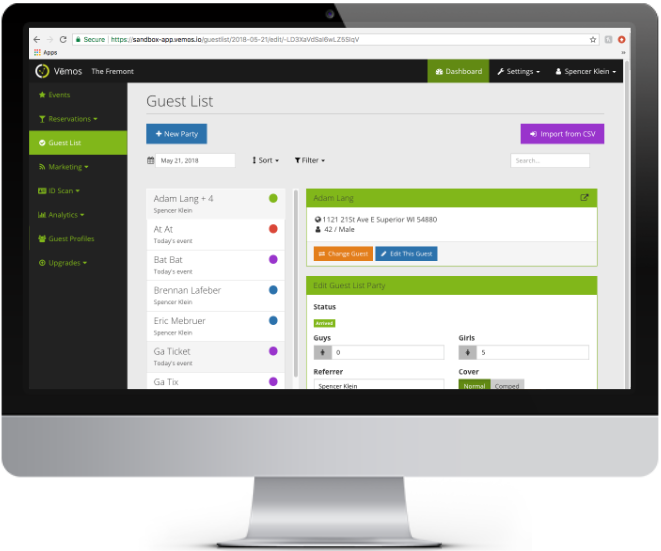 We were able to convert a 45-page document with more than 14,000 names into a searchable guestlist for front-door staff to fly through. 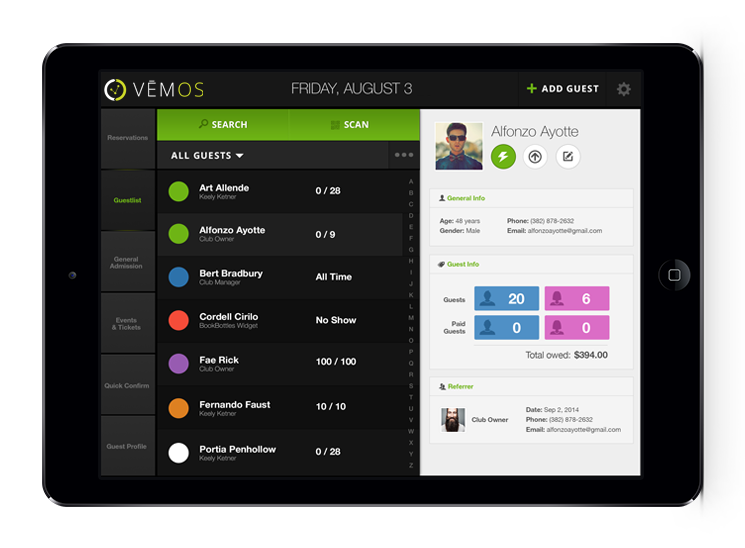 Our guestlist system is developed to accommodate the evolving needs of a typical night. 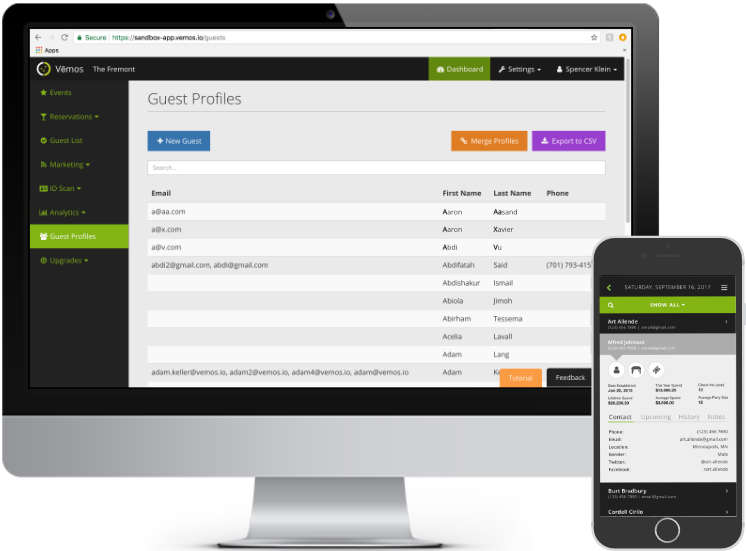 Add high profile guests on an all-time list so they’re never stopped at the door. 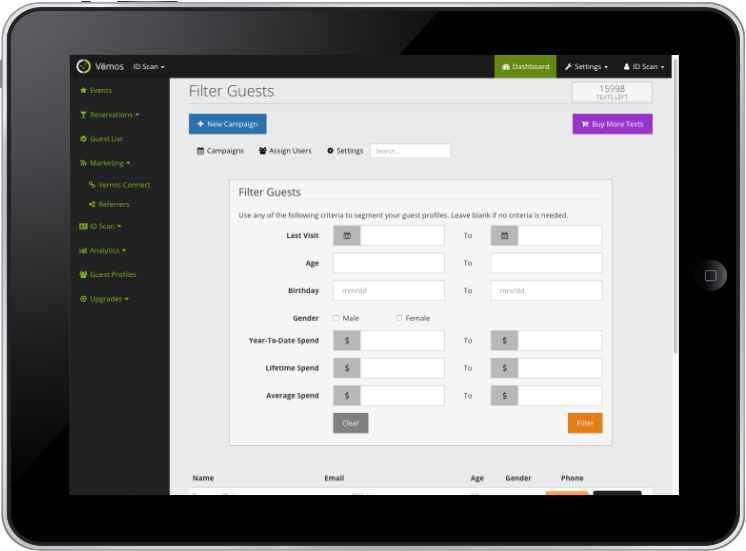 Avoid the awkward situations where a guest thought they were on the list when they never got added. 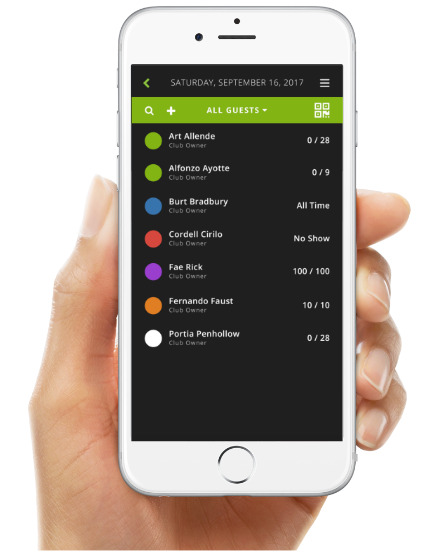 Create rules to ensure your staff is always charging the right amount, such as “free before 11pm, $10/person after.” All while providing transparency to door staff on who the guests are, and allow for fast and easy checkin to keep your line moving. 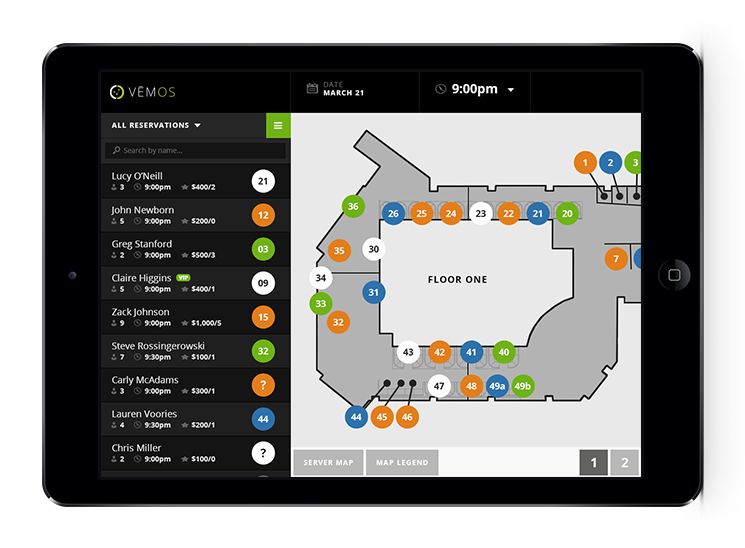 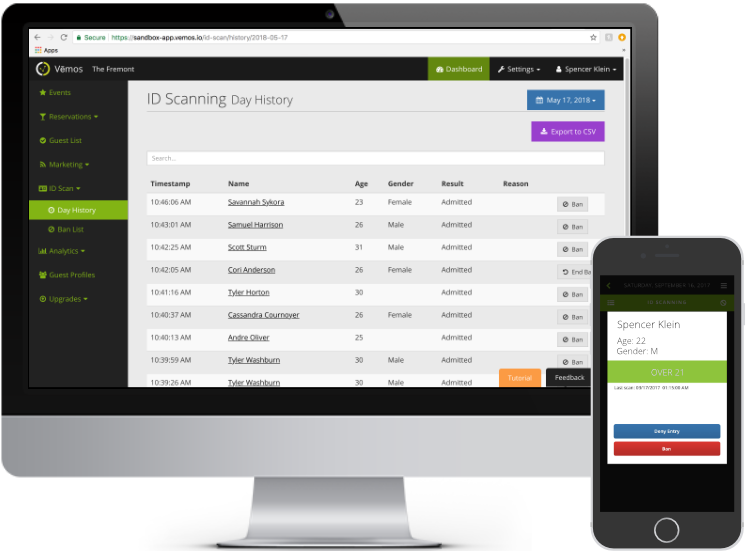 Benefits Streamline your guestlist line, get accurate data about each guest, accept cover payment directly through the app upon check-in, set cover to auto update based on time or capacity, never stop an all-time guest at the door. 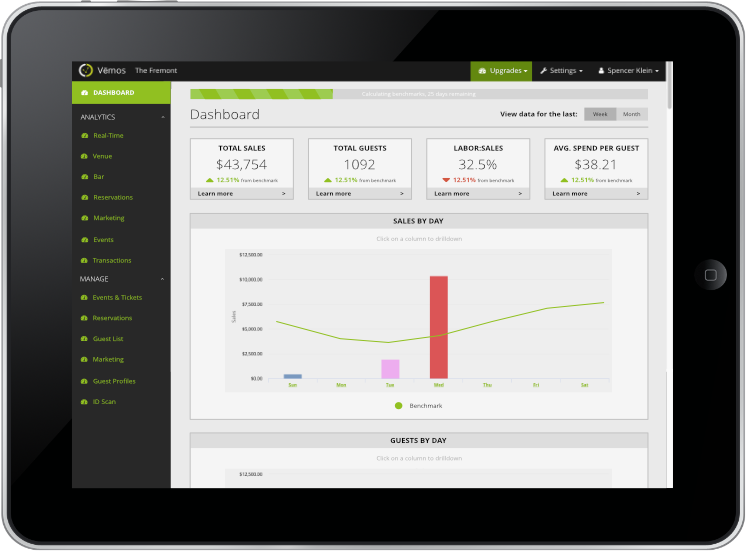 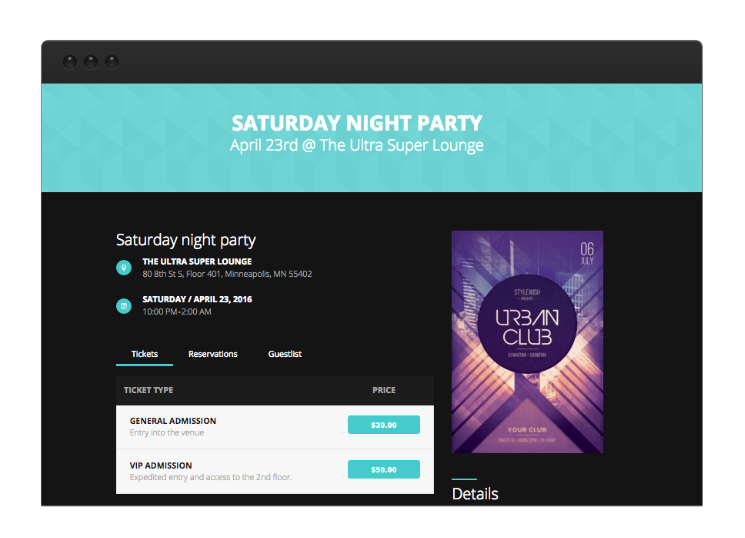 Insights Uncover who your guestlist guests are, how many parties you can expect, the average size per party, which promoter brings in the highest spending guests, and the average cost of entry.